The wedding service is over and it is time to party at the reception. The wedding dance floor can add one more special something to a great, memorable wedding reception. 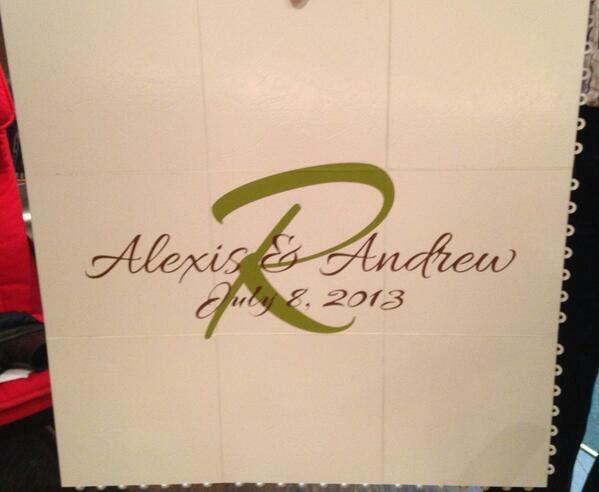 sparklingexpressions can help with that, by custom designing a great looking wedding dance floor decals, be it a monogram or an inspirational quote to capture the magic and beauty of the moment. Perhaps you want something small or perhaps you want something large, we can help. The following images are a small sample of what can be done, and we will happily work with you until the design is just right. The white dance floor is a showroom sample belonging to Quality Entertainment. Quality Entertainment is Ottawa's award winning entertainment company that specializes in DJ's, weddings, decor lighting and corporate events. 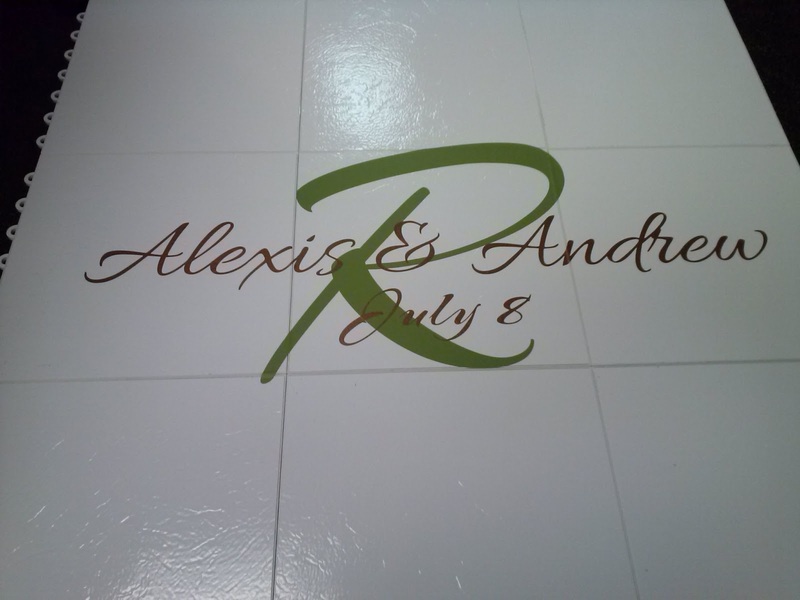 sparklingexpressions is thrilled to work with such an amazing company to personalize wedding dance floors when lighting just will not do. So if you are looking to hire a DJ, put on a gala or host a corporate event or need help with your wedding, give the professionals at Quality Entertainment a call.